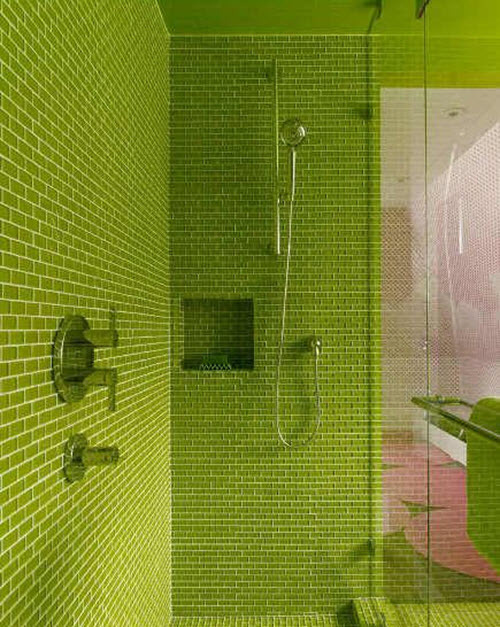 Lime green is one of the brightest shades of green color in the palette. 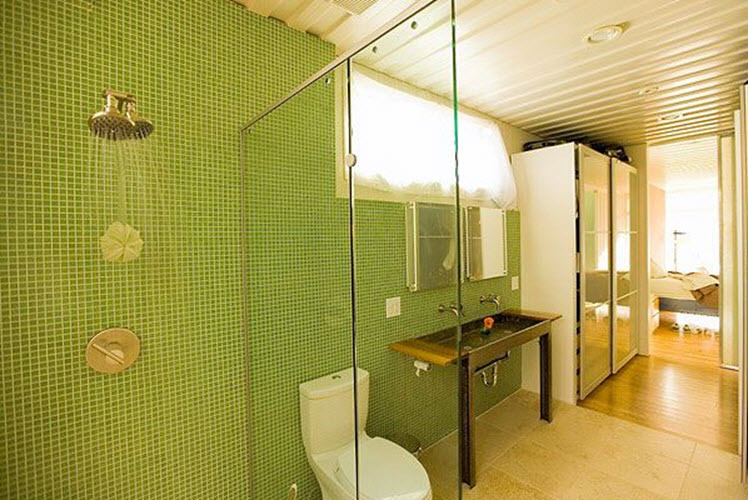 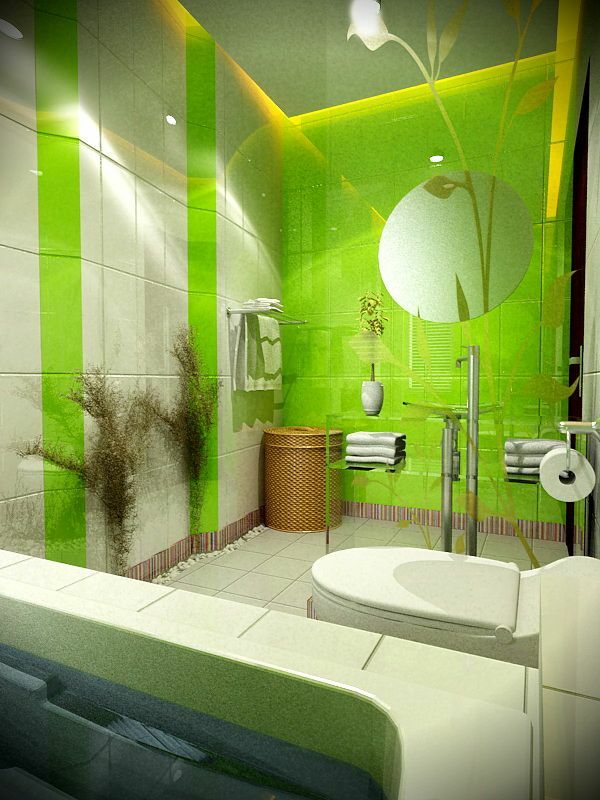 There is no certain agreement of opinions on if it is good or bad looking in the bathroom interior. 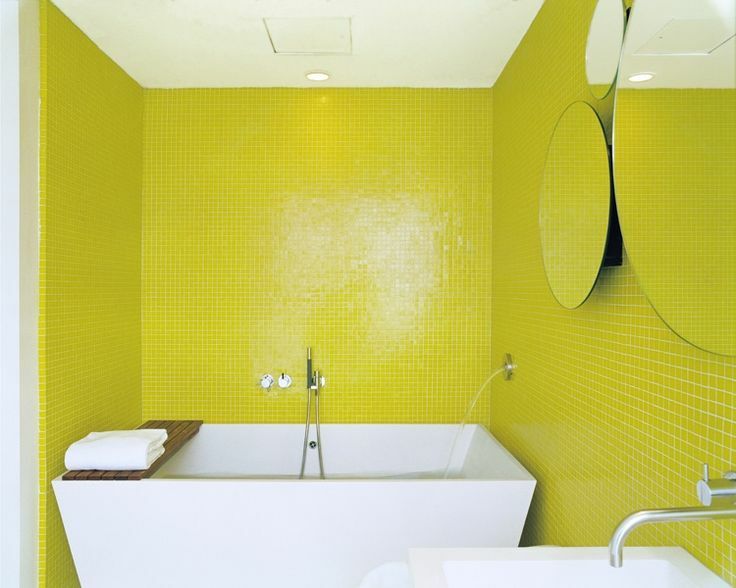 Some people think it’s too bright and eye-offending, others find it joyful and colorful enough to use in dome decor. 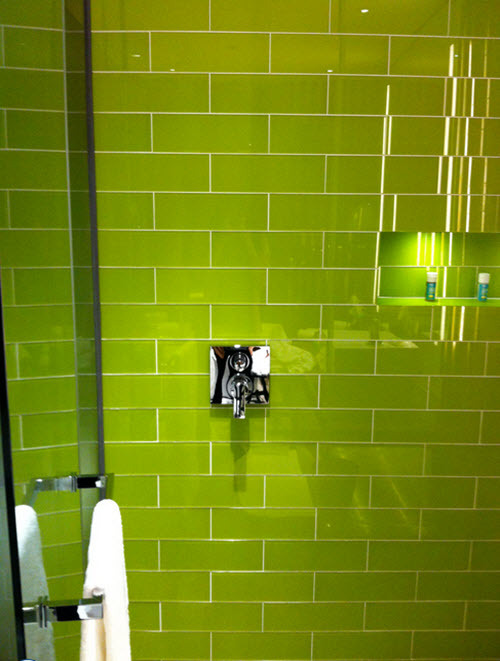 Either way, lime green sticks to you memory, want it or not. 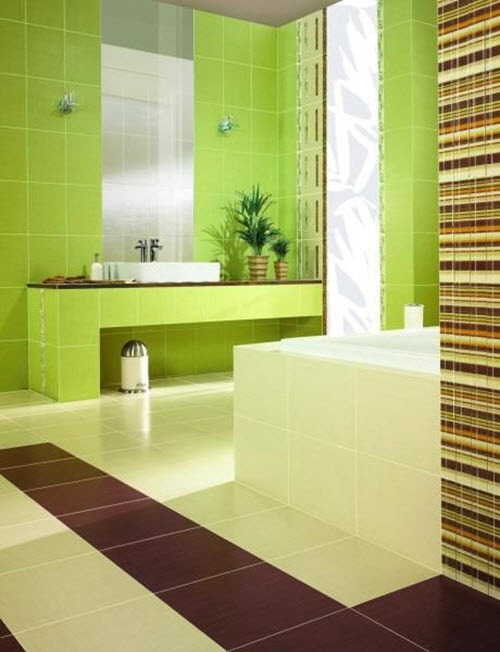 It can be a great addition to sole-colored bathroom giving you that pop of color on the floor or the walls. 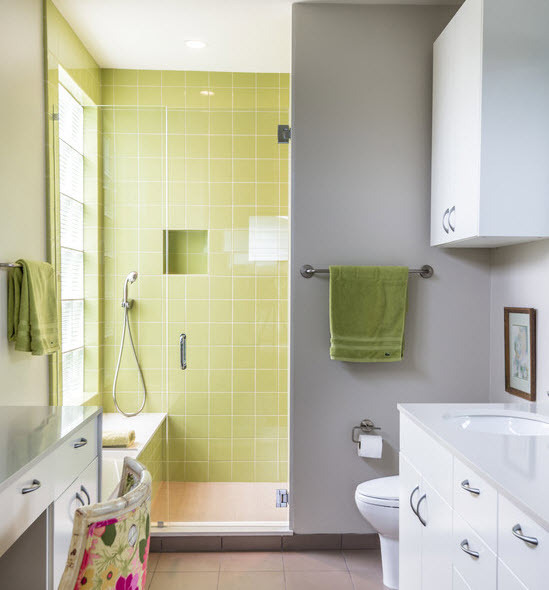 Some people prefer using it all over to make the happiest bathroom that will lift spirits and boost energy in the morning. 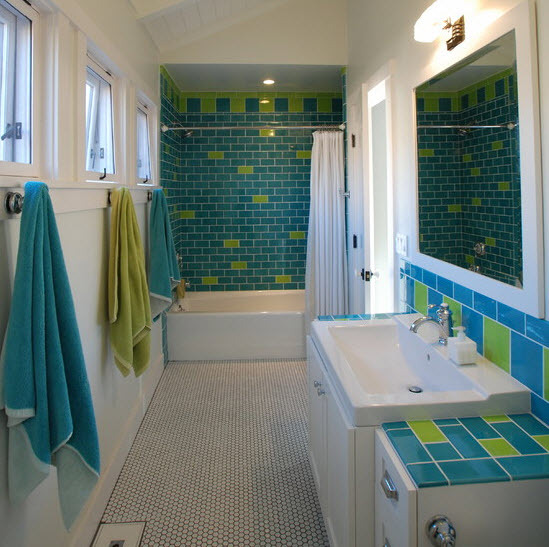 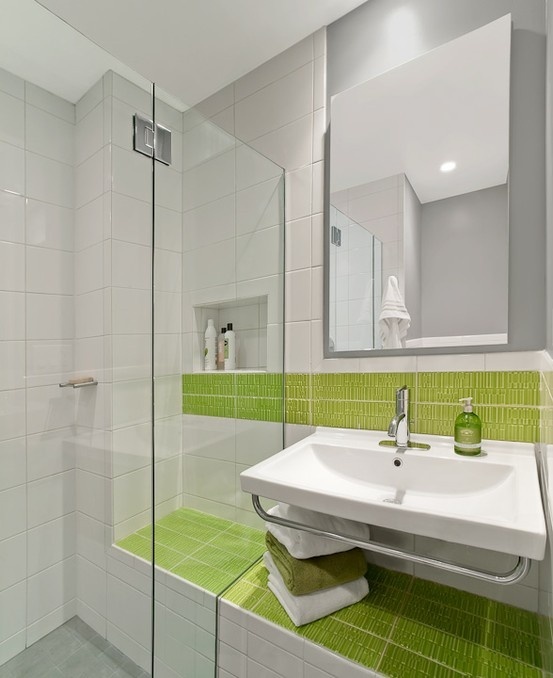 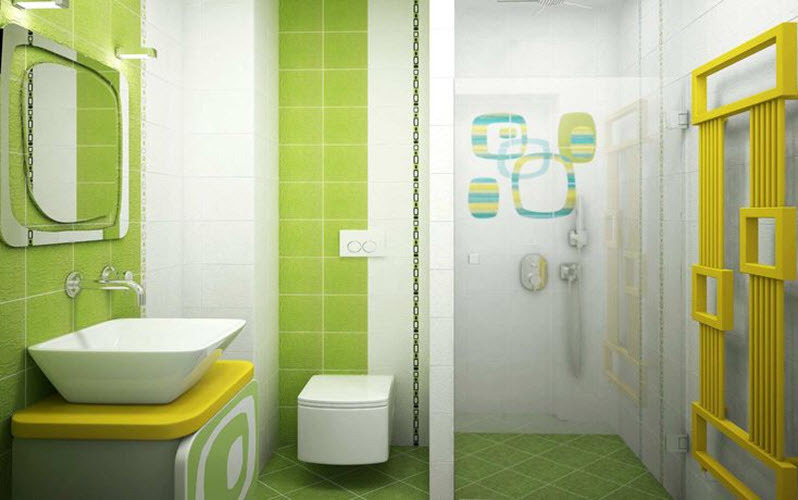 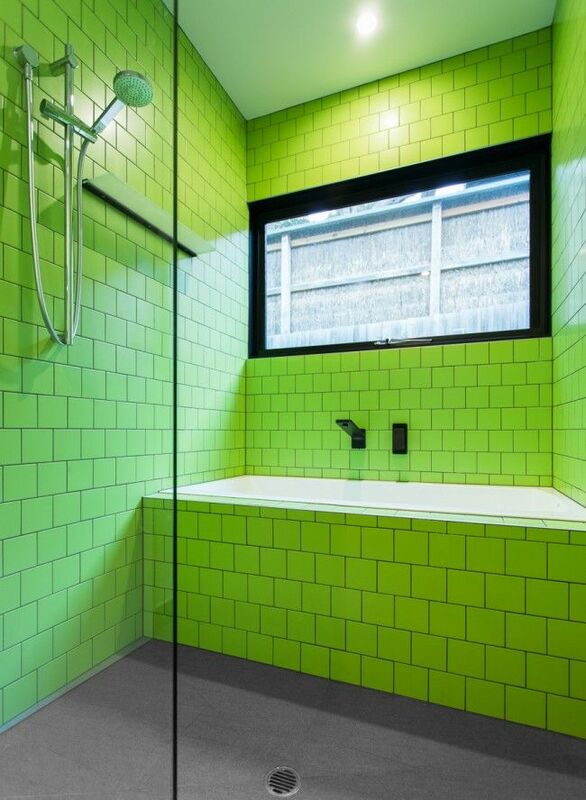 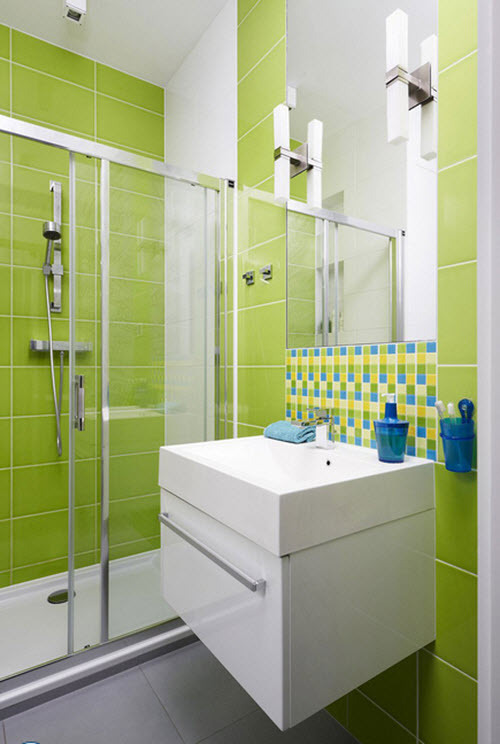 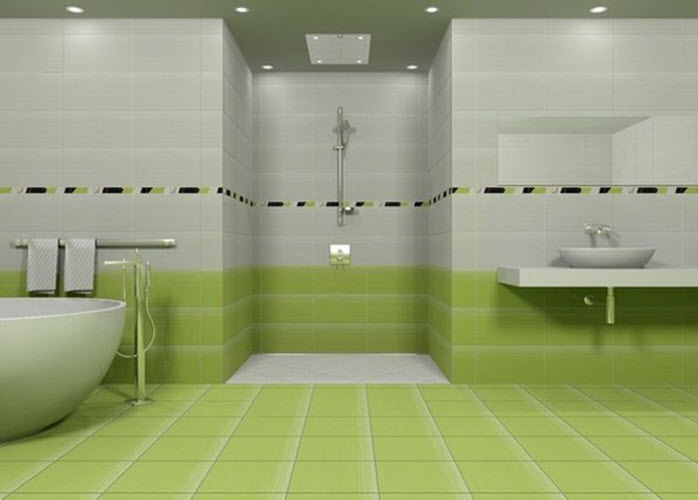 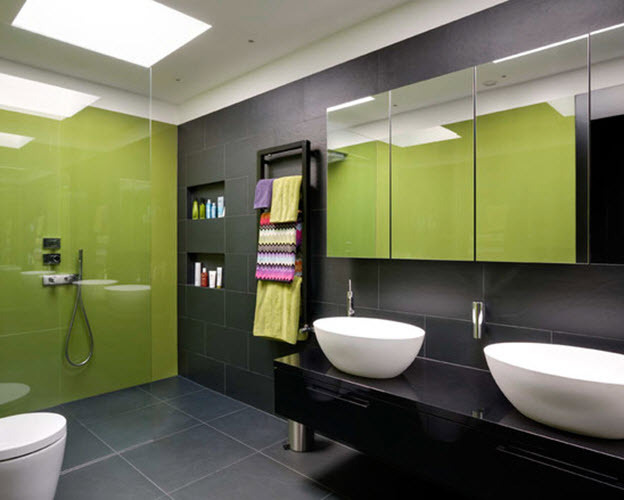 Another good solution is to lime green bathroom tiles for emphasizing certain areas in your bathroom, like shower booth or bathtub. 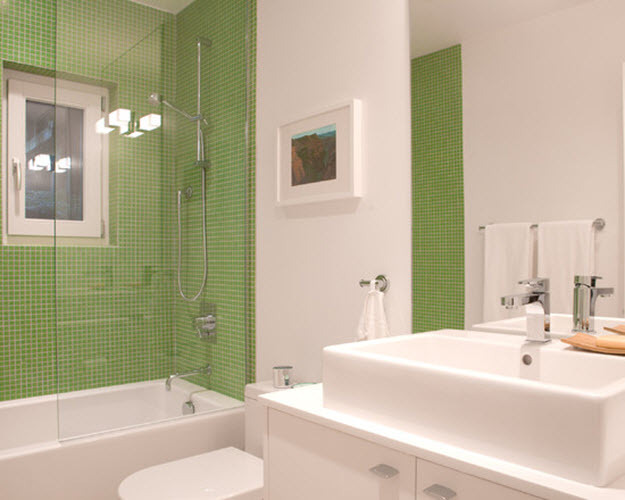 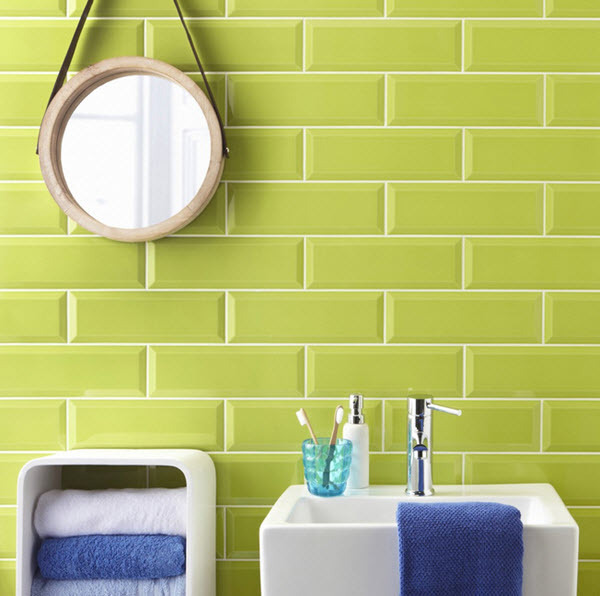 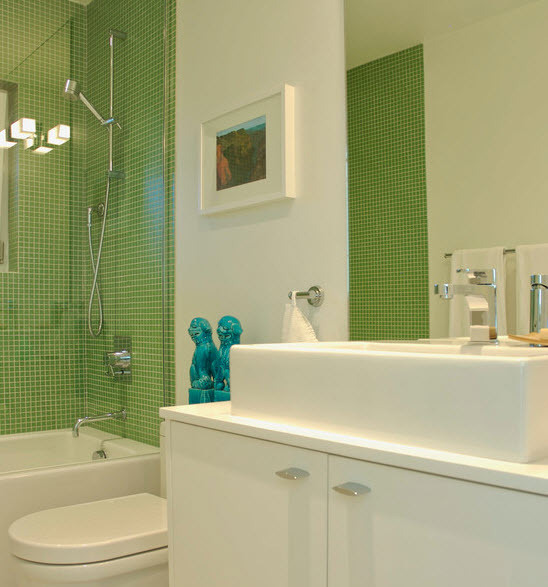 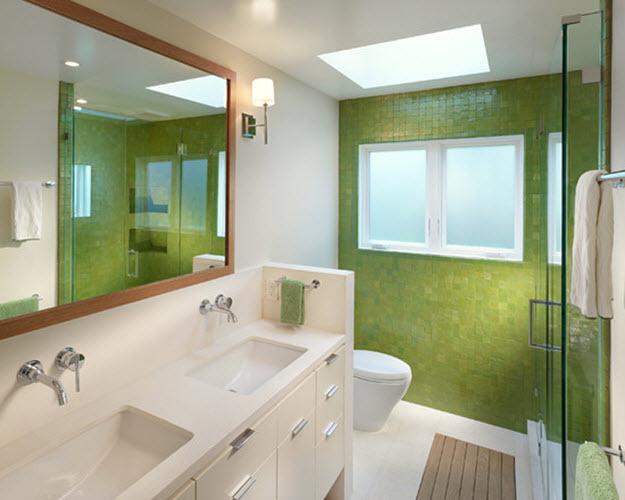 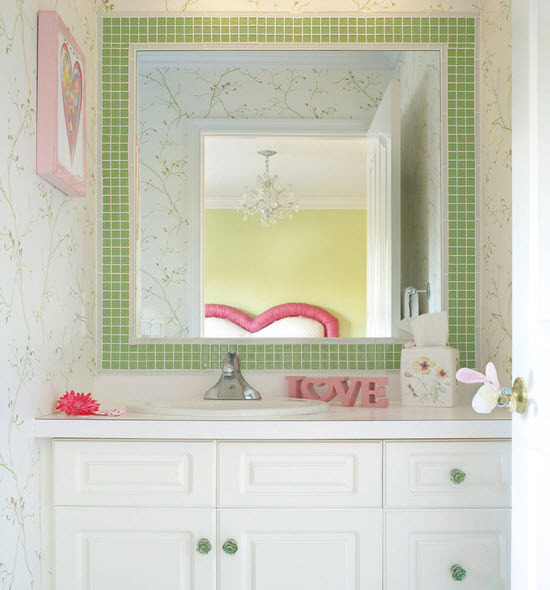 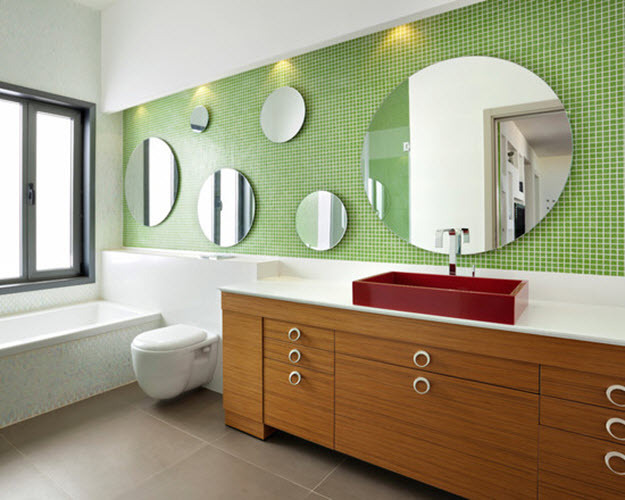 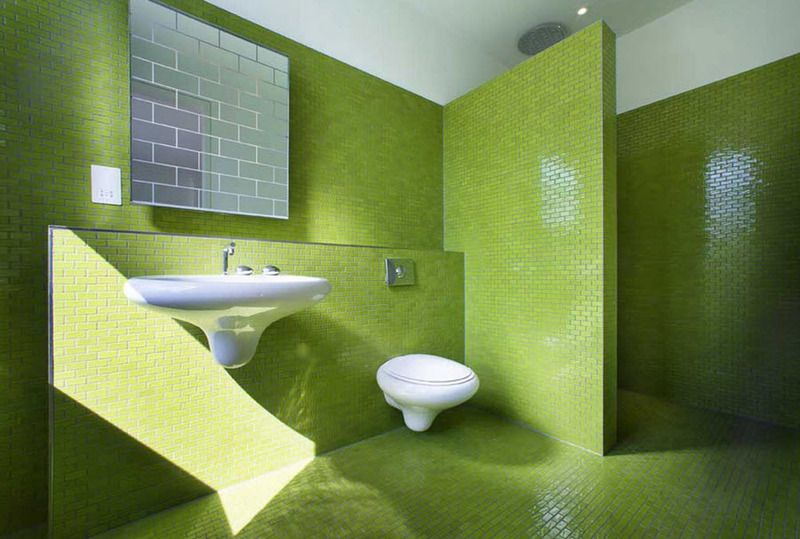 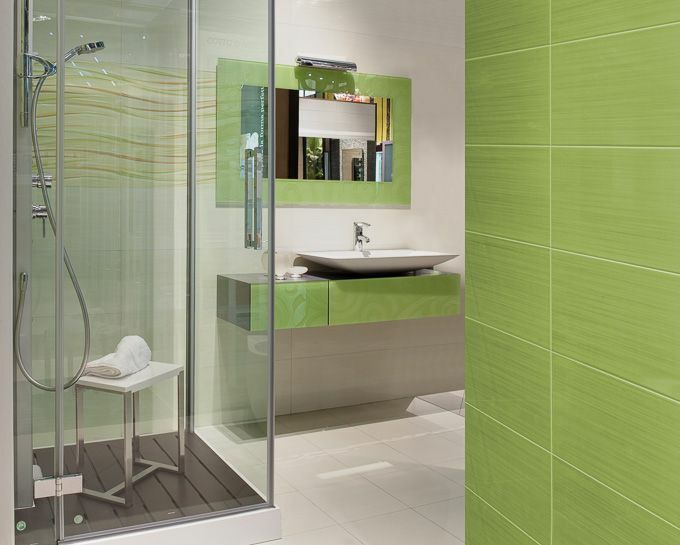 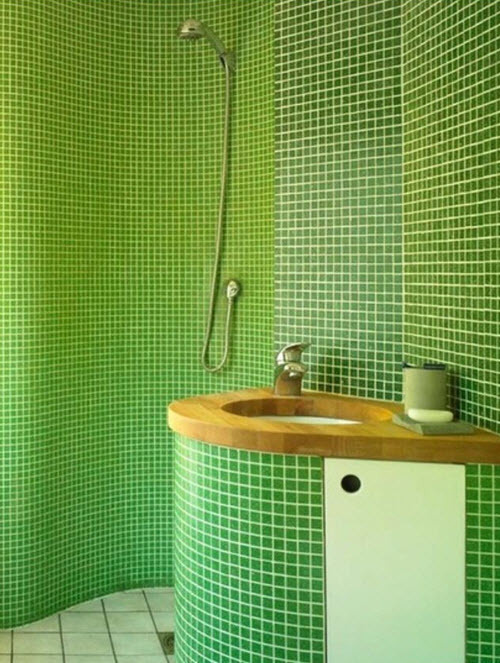 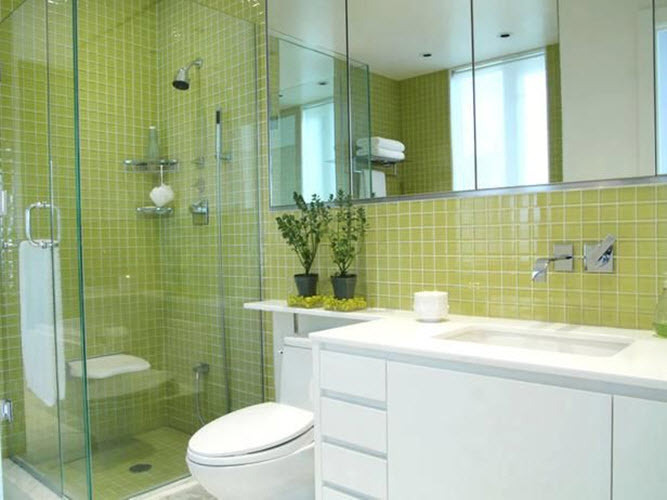 Lime green mosaics would look great on the floor or around sink and mirror. 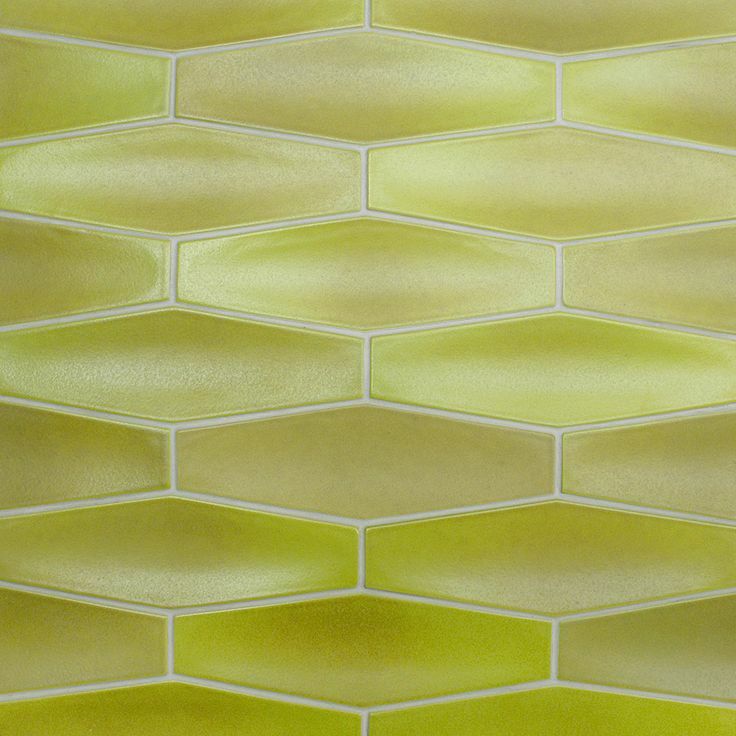 And if you find some interesting textured tile of this shade on the market you can use it to create unique pattern in your bathroom to make it one-of-a-kind. 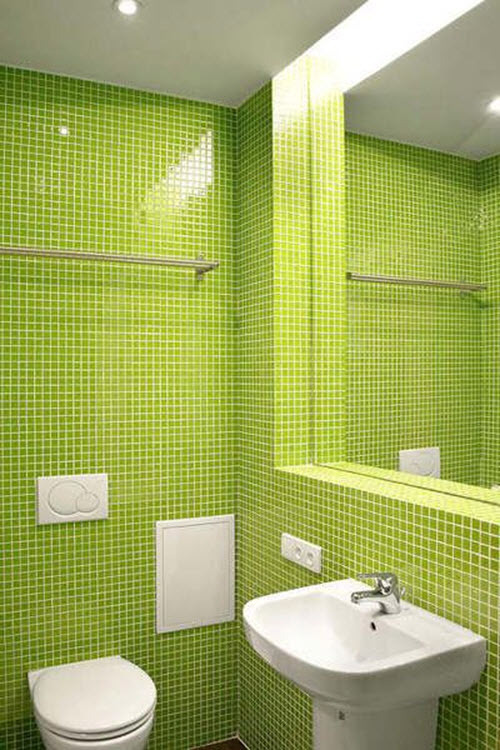 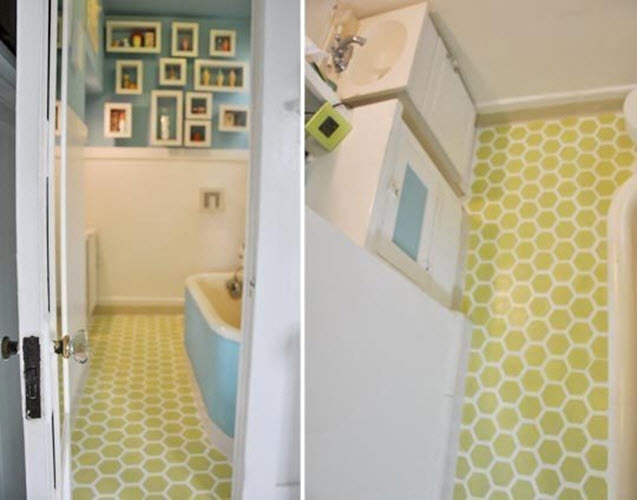 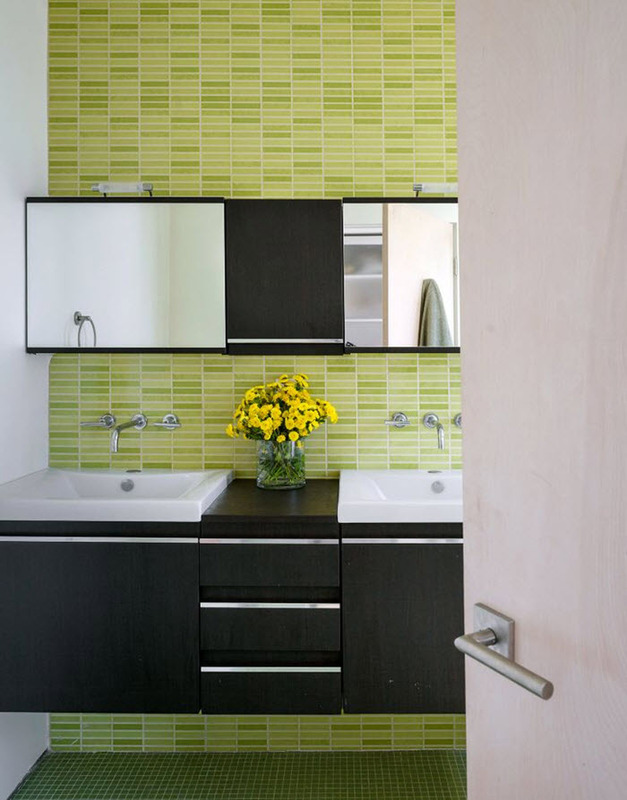 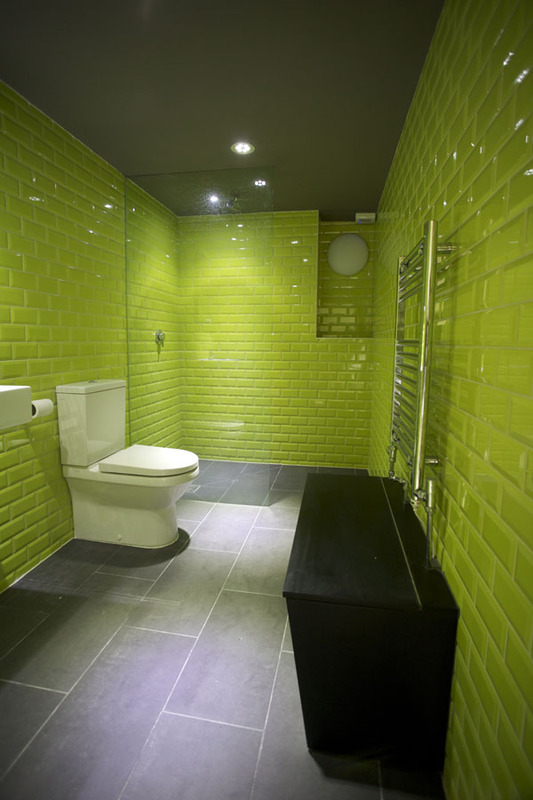 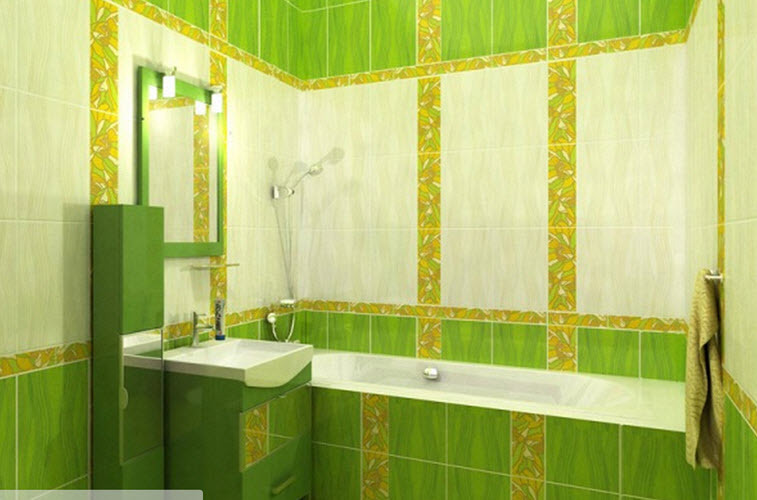 In our gallery below you’ll find many photo ideas of using lime green tile the best possible way. 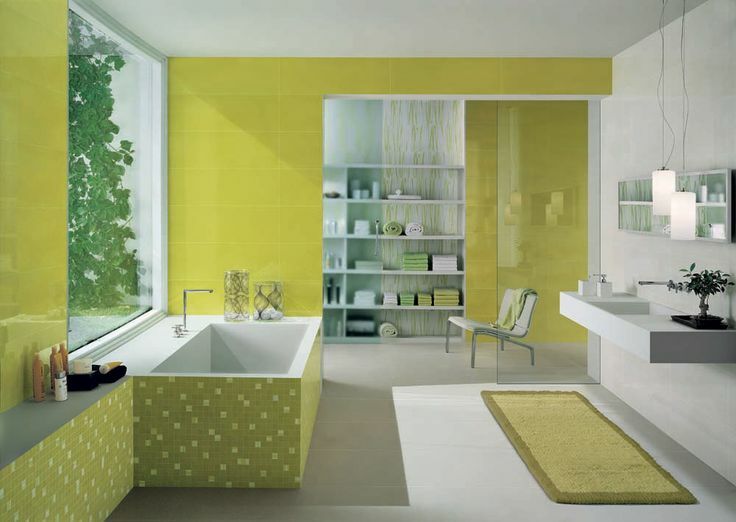 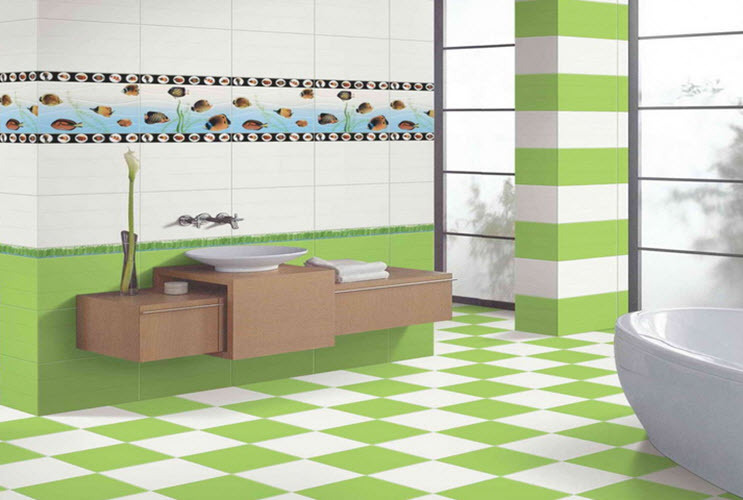 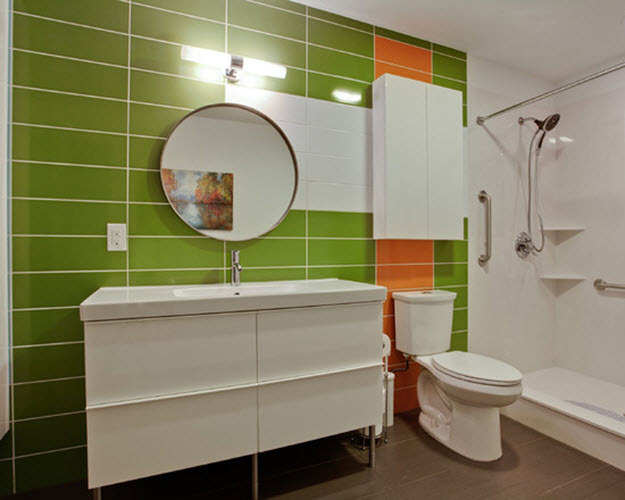 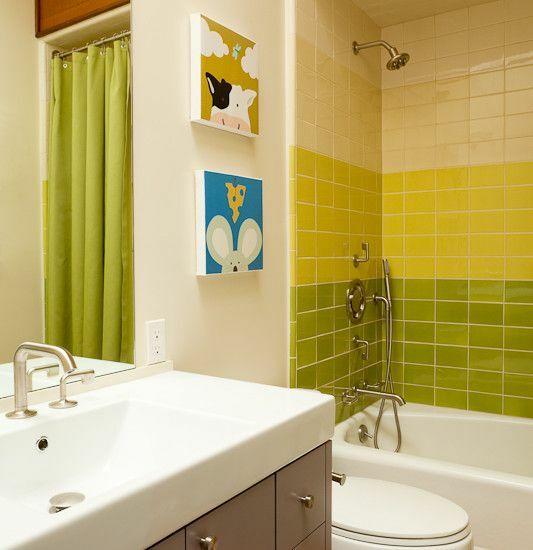 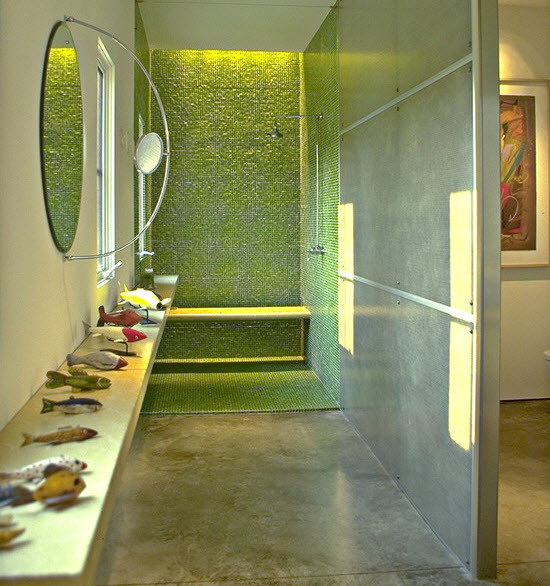 Get inspired and create your own bathroom in bright colors to take pleasure every time you enter. 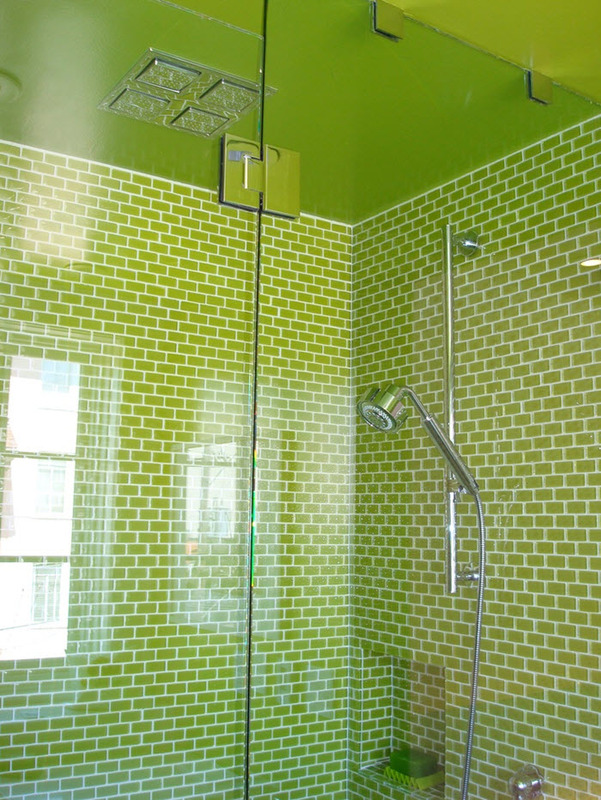 need lime green mosaic for splash glss in the kitchen.